The Internet loves "What kind of whatever are you" quizzes. With the recent discussion on Green Lantern, I thought this would be a helpful way to find out which one you are. Are you a tough bruiser like Kilowog? An evil genius like Sinestro? Or a living planet like Mogo? 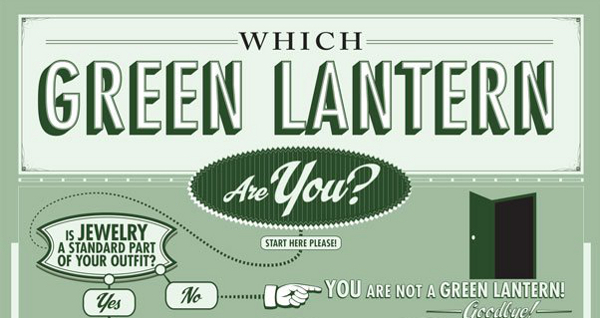 This infographic helps you figure out which Green Lantern you are. 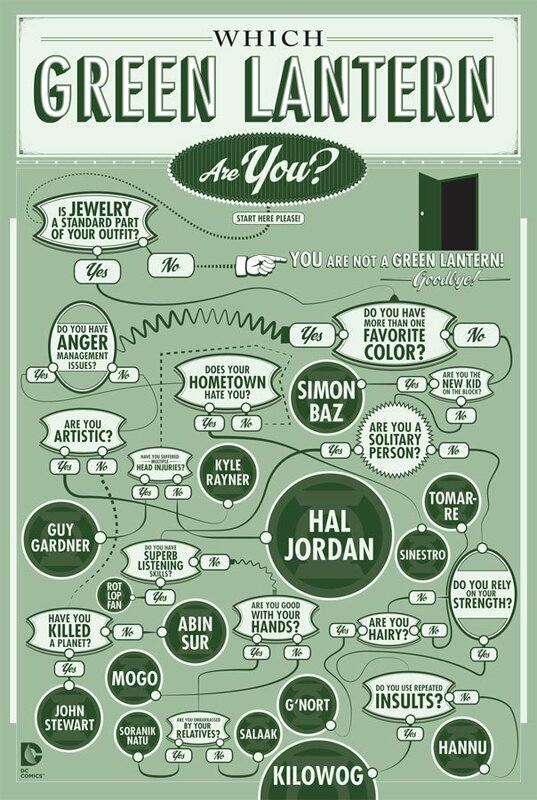 Nah, I'd be an Orange Lantern, the one dedicated to avarice. Or maybe a Red Lantern, since they're all about rage. Well crap, I hate jewelry - I'm out before I begin! Otherwise I'd be Kyle. Artistic and no anger. Better way to live. Apparently I'm Rot Lop Fan.